My family loves Halloween. 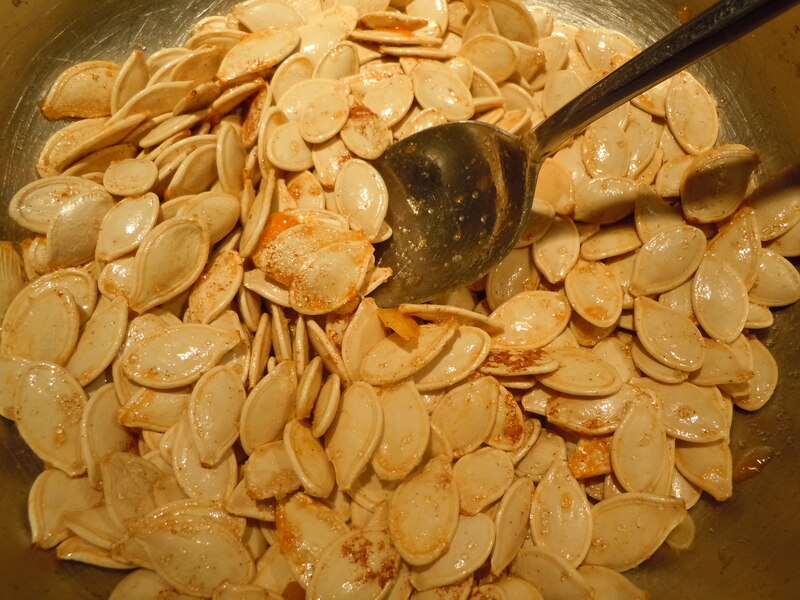 Carving pumpkins, creepy decorations, random costumes, festive food…what’s not to like?! 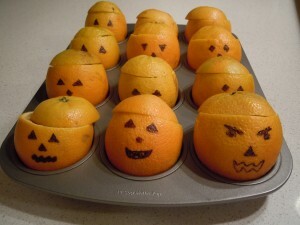 In looking back at some older Halloween posts I got very nostalgic when seeing my little shirtless pumpkin carvers and matching costumes (those days are long gone). 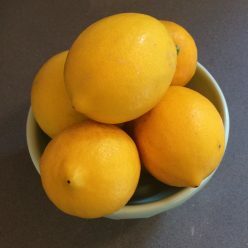 Here’s a few of the recipes we’ve been testing out as well as some of my old favorites if you’re looking for inspiration for the big night. 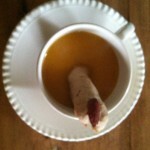 Another fun idea is the witches fingers. 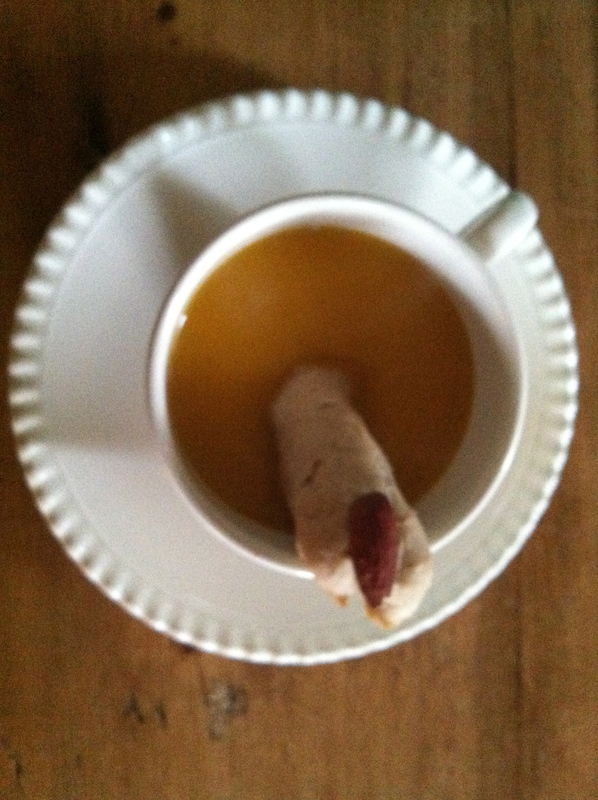 You know…breadsticks with an almond for the nail. 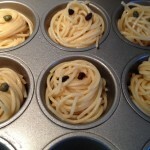 These are great with soup or alone on a veggie and dip platter. 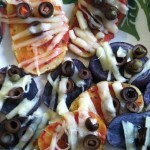 Again works at school celebrations as well as Halloween night potluck. 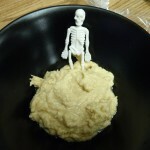 Last year it was all about the mummy potatoes. 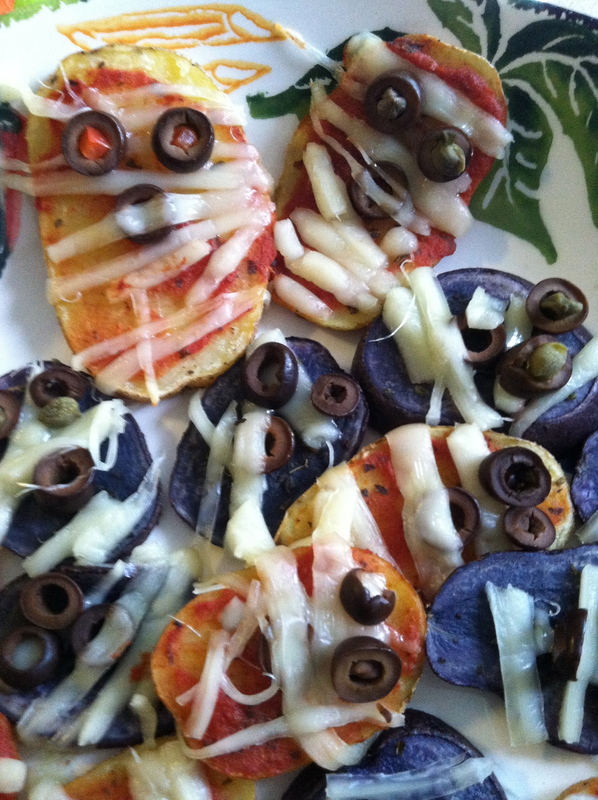 We had so many potatoes left over from our pumpkin patch dig that I really needed to get creative. 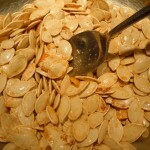 And this was an easy and filling appetizer before heading out into the trick or treat darkness. 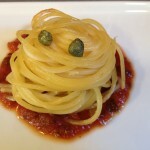 This year I’ve been experimenting with spaghetti nests. 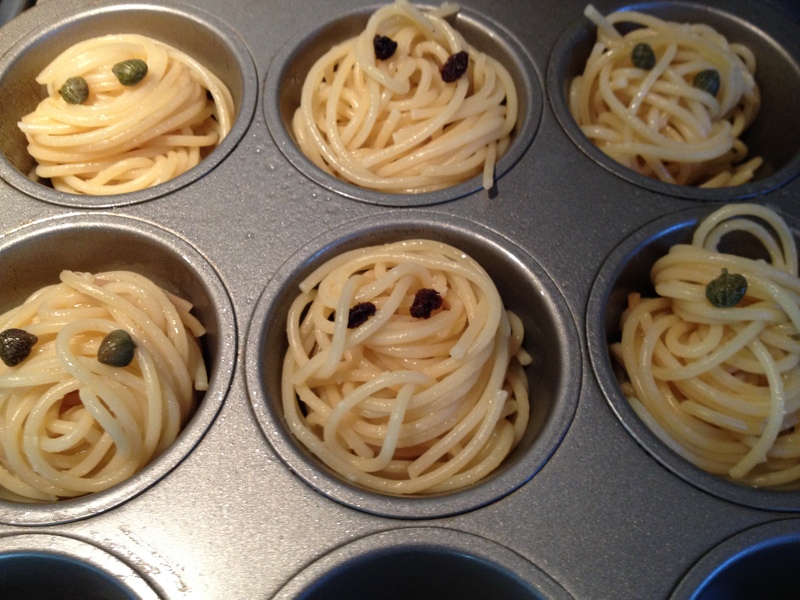 You know…baking cooked spaghetti in muffin cups for a nest like presentation. Yes, it could be easily dressed as a nest in springtime but for Fall it’s all about the mummy factor. 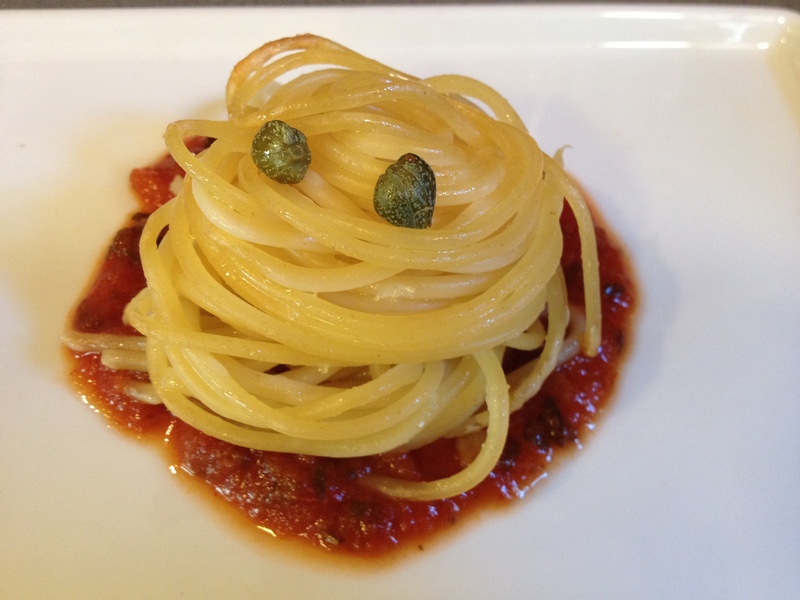 I’m adding a few olive and caper eyes and a pool of sauce (pesto or marinara) and this will be offered as a pre-candy course. 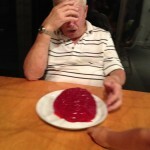 The ultimate test for me this year was the gelatin brain. This was funny and tricky on many levels. My father in law has a running joke that he was born the year of the brain (like the chinese zodiac). This irritates my 7 year old daughter to no end. 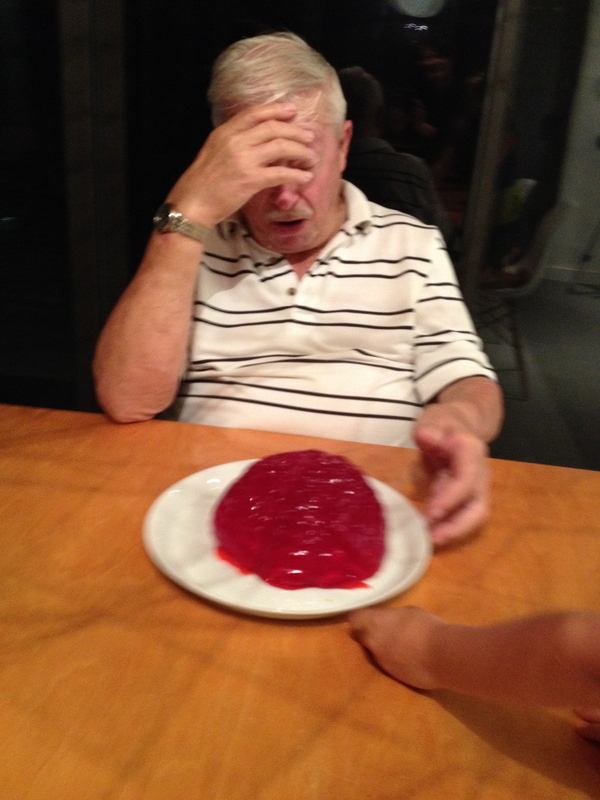 He signs cards and gifts to her “love, the brain” and she yells back “You are not the brain!” So when I saw this gelatin mold a few weeks before my in-laws visit I had to try it. I am not a gelatin fan for many reasons. 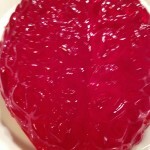 Because my daughter is vegetarian I attempted the gelatin brain with a gelatin substitute. I made it the night before “the brain’s” arrival, but it didn’t set. My daughter and I snuck out to the store to get the old Jello gelatin with the understanding that, a) I tried, b) the joke was more important than her being able to eat it and c) Jello is gross. This time it worked and everyone had a good laugh. 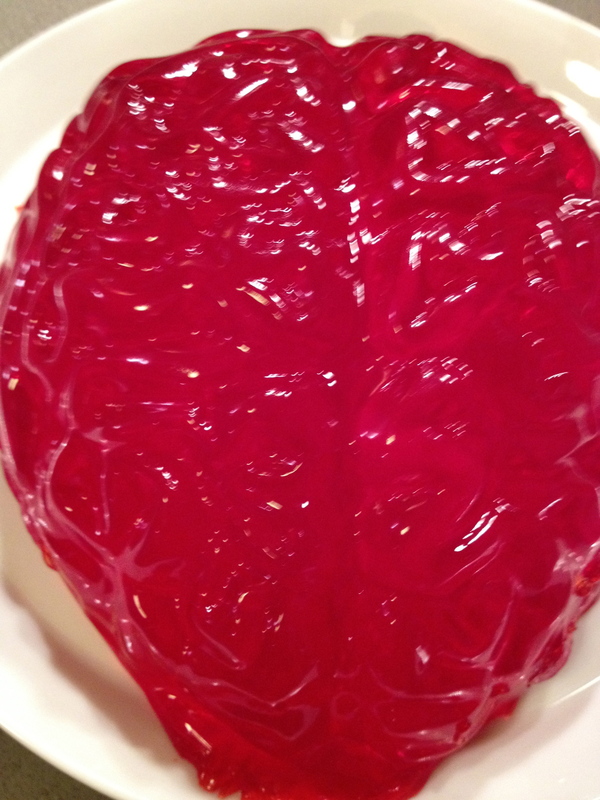 I found a photo and recipe of a gelatin brain that is super disgusting, so for Halloween with friends I’ll be making this one. Let’s cross our fingers it works. 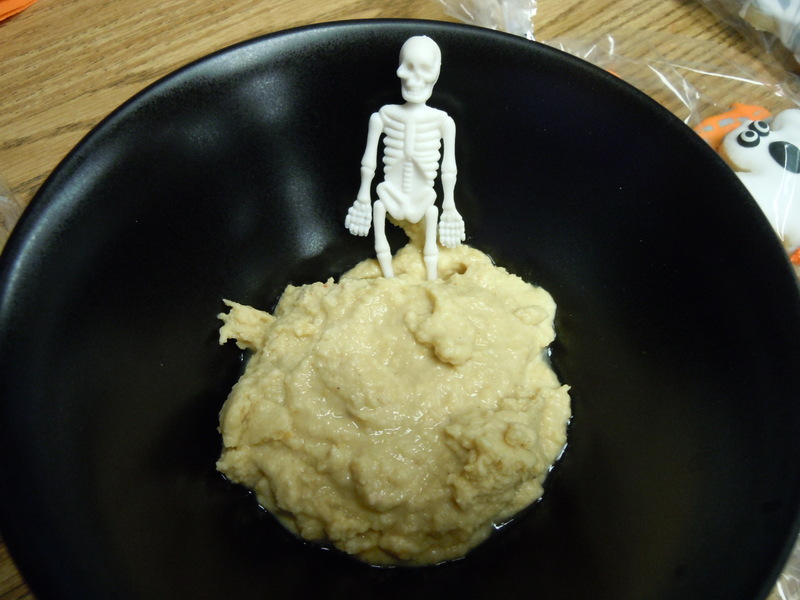 If you don’t feel like waiting for an 8 hour gelatin mold, or hollowing out 20 oranges, a few simple spiders or plastic skeleton (swimming in hummus, above) go a long way to dress up just about any food. Cookie cutters are a great way to get festive too. My sister sent us a few new ones this year. With over 120 cutters can you believe I didn’t have tombstones, a scary cat or vampire fangs? Now I do! 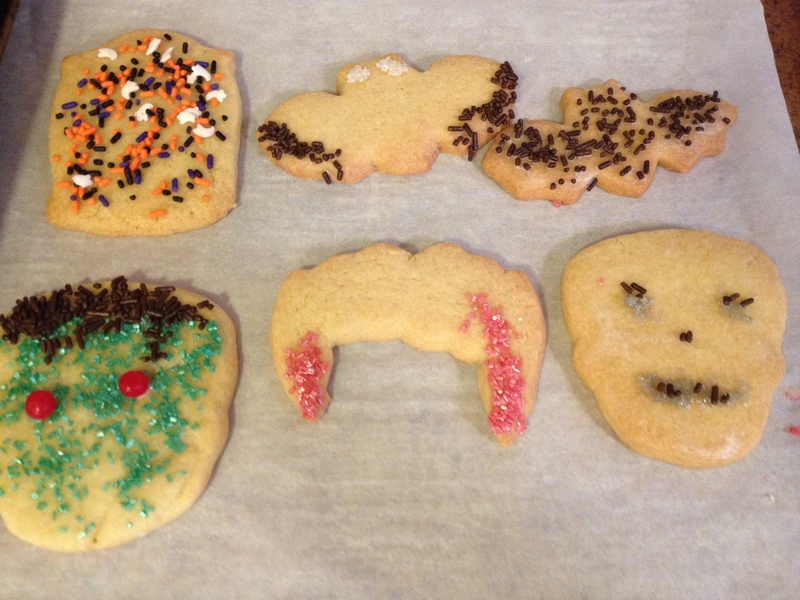 We made a batch of sugar cookies to test them out today And let’s not forget to roast the pumpkin seeds after all the carving efforts. Trick or treat!